The Junkyard Angels are all pleased to accept with open arms Mr. TG. Vanini. George Quinn and I have been doing some shows with T.G. as a trio as well as a few performances with Brian Hollander on dobro who joins the Junkyard Angels whenever his schedule permits. Brian also has his Saturday Night Bluegrass Band and also plays with Tom Pacheco whenever Tom is in the area. T.G. fit right into the band from the first time that he played with George and me. It wasn't until Sunday night September 5th when the full Junkard Angel Band got together for a show at The Colony that Dennis and Chris heard Mr. Vanini for the first time. Both we quite expressed with T.G. 's emotional violin weaving in and out of the songs with no boundaries on passion. I heard that one of T.G. 's friends and fan told him that this was the best fit for him yet and that it was his best playing ever. I personally have been blown away by his playing and the way he works within the songs. Chris and Dennis are not easliy swayed both being musicians without comparison. Welcome ! T. G. Vanini started learning classical violin at the age of 6 in Hong Kong. He became proficient in Celtic fiddling during many evenings spent in smoke-filled pubs in the Irish community in Manchester, England. Since moving to Woodstock, NY, in 1985, he has combined his pursuits of songwriting, fiddling, singing, poetry and writing. He performs his own compositions with The Princes Of Serendip (www.princesofserendip.info) and so far has recorded three albums of his songs: growth & gravity (Rose Hill Records, 1996), The Princes Of Serendip’s eponymous CD (Rose Hill Records, 2002), and What She Said (Jaiya Records, 2008). He has fiddled in many ensembles and genres, including a French folk-rock band called Menerval, and Ulster County’s inimitable and lamented Fighting McKenzies. His violin features on recordings by Esther Frances and the Holographic Donuts, Sarah Underhill, and Might Xee’s Chernobyl. T. G.’s poetry has appeared in numerous small magazines, anthologies and websites. Some of it can be found on his personal webpage http://faculty.baruch.cuny.edu/vanini/. He recently completed his first novel. 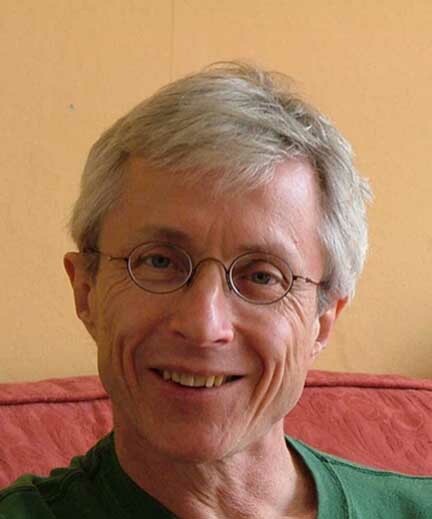 His alter ego, Laurie Kirby, is a Professor of Mathematics at Baruch College (City University of New York). I was fortunate enough to be invited to the wedding of Anna Seeger to Shannon Carrol last weekend. The entire Seeger family was there including Pete and his wife of over 60 years Toshi. At 91 years old Pete is still on top of his game and busier than ever according to Pete. "Ever since "The Power of Song" was released in 2008, I haven't had any time at all", Pete told me. "Up until then I was a fascist and nobody wanted to talk to me. Now I receive bundles of mail and every day and the phone never stops ringing for interviews and appearances". We spoke about everything from the first Newport Folk Festival to his fond memories of John Herald. The real treat for the weekend event was to sit around a campfire Saturday night after the amazing wedding of Shannon to Anna and sit around a campfire watching and listening to Pete play his songs and tell his stories in this relaxed atmosphere. Sitting less than a foot away from him and watching his fingers pluck his banjo while watching his facial expressions was amazing. He asked for people in the circle to pick out songs and sing along. One of the many stories that he told was how Merle Travis wrote "Dark as a Dungeon" in his car under a street light in about an hour. Then we all sang the wonderful chorus, "It's dark as a dungeon and damp as the dew, where danger is double and pleasures are few, where the rain never falls and the sun never shines, it’s dark as a dungeon way down in the mine." Pete is an inspiration and a hero of many who picked up guitars and banjos in the early sixties to sing some of the songs that he wrote like "If I Had a Hammer" or "Where Have All the Flowers Gone". One of the first songs that I ever learned was a Pete Seeger song that the Byrds later made into a hit, "Turn, Turn, Turn". I strongly suggest that you pick up a copy of the DVD "The Power of Song" to watch the life and times of this truly wonderful human being in every sense of the word. He has been recently nominated for the Nobel Peace Prize and nobody deserves it more than Pete. 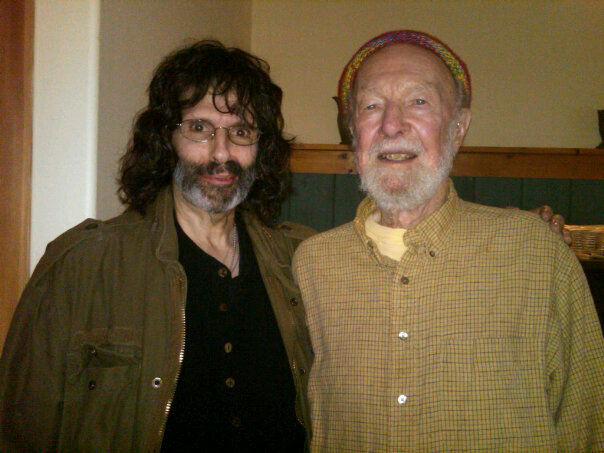 http://www.peteseeger.net/ May Pete stay forever young. The show went extremely well Sunday night. The entire Junkyard Angels were there in the flesh including Chris Zaloom, George Quinn, Dennis Cotton and our newest member of the band T.G. Vanini on violin. We played for almost two hours and performed a mix of old and new tunes. It was a great gig! The Junkyard Angels will be playing the Harmony Cafe' on Friday, October 15th and The Colony on Saturday, October 30th for a special Haloween Show. More information on these dates will be posted soon. Thanks for all of your support and we'll see you soon! I was honored to have Richard Shindell cover my song "Shades of Black, Shades of Blue". He has been called one of the best songwriters to come around in a long time and he is indeed a master lyricist. The New York Times wrote "What then does it mean to say a singer-songwriter is the best? It's pointless, given folk's idiosyncrasies. Mr. Shindell is so literary that his ballads would go straight into The New Yorker if they were prose. Such skill can often be deadening. 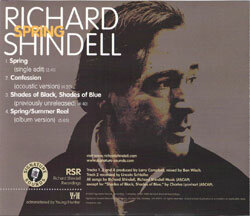 Shindell is a master builder of songs." The track was produced by Larry Campbell and the personnel included Larry Campbell -guitar and fiddle, Lincoln Schleifer-bass, Denny McDermott-drums & percussion and Teresa Williams-backing vocals. The people who played on this recoding are all very dear friends of mine who I have recorded and played with. "Shades of Black, Shades of Blue" was written about Thomas Jefferson Kaye, who was a dear friend of mine. He was a musician, songwriter, and producer responsible for a number of classic pop records, including Question Mark and the Mysterians' "96 Tears," the Shirelles' "Soldier Boy," and Loudon Wainwright III's "Dead Skunk," to name just a few. He also worked with Dr. John, John Hammond and Gene Clark who was one of my heroes. Gene was one of the most underrated singer songwriters ever in the music business. I met Tommy through my good buddy Marty Kupersmith, who was a founding member of Jay and the Americans and still in the group. Tommy produced their biggest hit, "This Magic Moment" written by Doc Pomus. I met Tommy when he moved up to the Warwick area and I heard that he had some of Gene Clark's last notes and a book of lyrics that Gene wrote prior to his untimely death on May 24th, 1991 at the age of 46. How strange that Gene passed away on the same day as Bob Dylan's birthday. Marty, Tommy and I became quite the trio at the time hanging out and performing in the Orange County area. I was with Tommy when he passed away in Warwick on a late summer's day in September of 1994. We were working on a Charles Lyonhart record at the time which Tommy produced about 8 tracks for me that I have stashed away. I hope to share these with you on this blog one day.